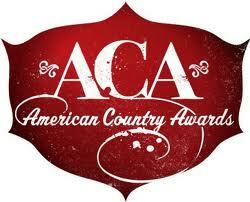 Trace Adkins and Kristin Chenoweth have been announced as hosts of the second annual American Country Awards. Adkins also hosted last year’s show which featured performances and appearances by some of country’s top artists including Jason Aldean, Lady Antebellum, Rascal Flatts, Blake Shelton and The Band Perry. Since then Adkins has had a busy year appearing in the box-office feature “The Lincoln Lawyer” and adding to his list of chart topping hits with his latest single “Just Fishin“. Chenoweth hasn’t had much down time either. The Emmy and Tony winner is now adding country music singer to her resume. Her upcoming country album “Some Lessons Learned” will be released September 13. The American Country Awards is the only country music awards show that gives fans the opportunity to vote for their favorite artists. Nominees, performers and presenters are to be announced. The awards show will air live from Las Vegas on Monday, December 5 at 7:00PM on FOX. ← Hook, line and sink her.